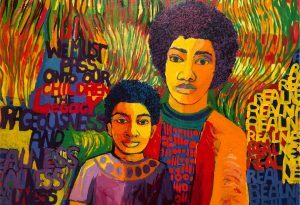 Coral Gables Museum presents “Family Day on Aragon: We Love Coral Gables.” Families will have the opportunity to make Valentine’s Day projects for the special people in their lives, show the city some love and explore the museum. 8 a.m.-5 p.m. 285 Aragon Ave. Details: https://bit.ly/2FUVaBv. 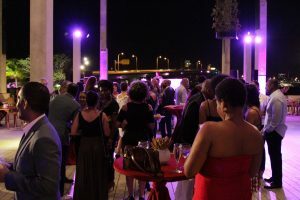 The Museum of Contemporary Art, North Miami presents “Oral History Project: Messages from Our People.” Miami locals are invited drop into MOCA to share their messages and stories as a part of MOCA’s AFRICOBRA inspired oral history initiative. 11:30 a.m.-4 p.m. 770 NE 125th St. Details: https://bit.ly/2FWIc6k. Books & Books at Suniland Shops hosts Lisa McMann’s “The Unwanteds Quests.” Ten years after Alex and Aaron Stowe brought peace to Quill and Artimé, their younger twin sister journeys beyond Artimé. 2 p.m. 11297 S Dixie Hwy., Pinecrest. Details: https://bit.ly/2CH015k. Actors’ Playhouse at the Miracle Theatre presents “Cinderella.” Charles Perrault’s classic tale of a young lady’s struggle to overcome the tyranny of her wicked stepmother and stepsisters springs to life. 2 p.m. 280 Miracle Mile. Details: https://bit.ly/2ySo9kc. Patricia & Phillip Frost Art Museum hosts “Artist Lecture: Jess T. Dugan.” Jess T. Dugan is an artist whose work explores issues of gender, sexuality, identity and community through photographic portraiture. 3-5 p.m. 10975 SW 17th St., Tamiami. Details: https://bit.ly/2WrOcsG. Patricia & Phillip Frost Art Museum presents an exhibition opening for “Asian Crossroads: Influence and Interaction Along the Maritime Silk Road” and “To Survive on This Shore: Photographs and Interviews with Transgender and Gender Nonconforming Older Adults.” 4-7 p.m. 10975 SW 17th St., Tamiami. Details: https://bit.ly/2ScjlBf. Books & Books in Coral Gables hosts Brad Meltzer and Chris Eliopoulos’ “I am Billie Jean King.” Billie Jean King is one of the greatest tennis players of all time. 5 p.m. 265 Aragon Ave. Details: https://bit.ly/2HzbWb0. Books & Books in Coral Gables hosts Marlon James’ “Black Leopard, Red Wolf.” In the first novel in Marlon James’ Dark Star trilogy, myth, fantasy and history come together to explore what happens when a mercenary is hired to find a missing child. 7 p.m. 265 Aragon Ave. Details: https://bit.ly/2UqIfdH. FIU Music Series at The Wertheim presents “FIU Festival of Bands Finale Concert presents Sound & Vision: African-American Composers.” Presented in celebration of Black History Month, this concert focuses on the profound contribution of African-American composers within the field of classical music. 7:30-9 p.m. 10910 SW 17th St., Tamiami. Details: https://bit.ly/2CT47re. The Aventura Arts & Cultural Center presents “Almost AHBA.” The band recreates the magic and nostalgia of ABBA in a costumed, choreographed and interactive audience experience. 7:30 p.m. 3385 NE 188th St. Details: https://bit.ly/2DFMpsS. In Color Dance Collective presents “EnFUNKopedia Volume 1.” Under the direction of Zedric Bembry, Live In Color Dance Collective has attained recognition by dazzling the nation with its crowd-pleasing performances. 8 p.m. Pinecrest Gardens, 11000 Red Rd. Details: https://bit.ly/2UohVRB. On.Stage Black Box, 2901 W Flagler St.
Miami-Dade County Auditorium presents “Forever Tango,” which tells the story of the birth of the tango in 19th century Argentina. 8 p.m. 2901 W Flagler St., Miami. Details: https://bit.ly/2UrM7LH. South Miami-Dade Cultural Arts Center presents “Harold Lopez-Nussa Trio.” Harold Lopez-Nussa combines classical rigor and Afro-Cuban roots. 9:30 p.m. 10950 SW 211th St., Cutler Bay. Details: https://bit.ly/2FUq1yd.